I do love a good, fun breakfast cereal. I remember the excitement of a new box of cereal being brought home. I remember being told that I couldn't go rooting through the boxes for the toys and trading cards as it was unhygienic. 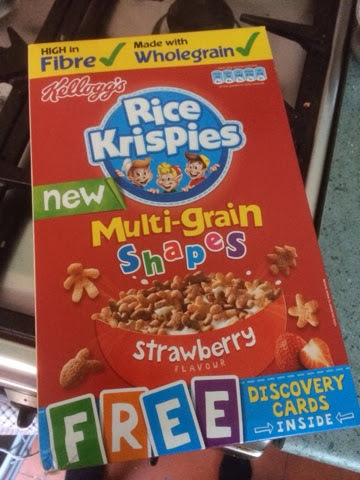 I've lamented before that those days are long gone, but Kellogg's have somehow decided to revive the glory days and put free stuff in with the kids cereals. 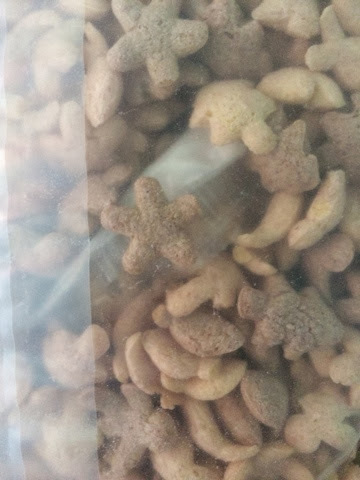 Here we have a Multi-grain shape cereal that is only tenuously linked to Rice Krispies - it's Multi grain for a start, AND doesn't go snap crackle or pop. It does make the milk strawberry flavoured though so I'd have probably allied it with the coco pops range. That said it's like a version of Cheerios that actually has a flavour and with the strawberry milk kids will actually love this. Great family cereal, probably higher in sugar than the adults would want, but actually lower than the kids think. Enough about the boring food - the box has activities! 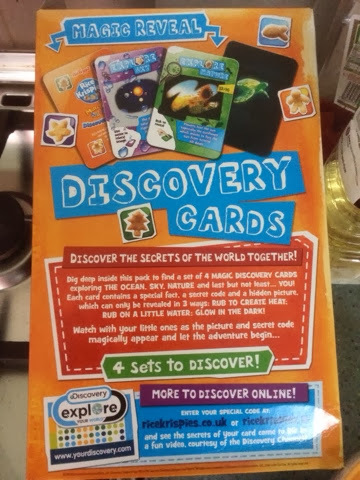 Here we have all about discovery cards. You can scratch them, get them wet, make them glow in the dark and in return you are rewarded with underwhelming facts about things. Still - they have collector numbers and you get 4 in a bag which is quite generous.